I got a few more half square triangles sewn together and had a small epiphany... Pinwheels! Faith (her sister) commented last time that she liked the plain half square triangle layout because it showcased the fabrics better. I agreed with her, but I still wasn't happy with the plain layout. Then I was skimming an old quilting magazine and saw a pinwheel quilt, and realized it would keep like fabrics together, while adding an element of whimsy to the quilt. 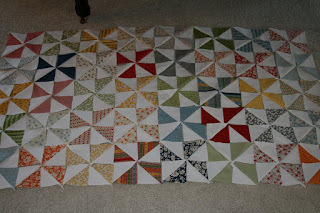 I have about 80 more half square triangles to sew, then I can start ironing these and piecing them into pinwheels. 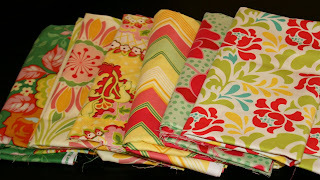 Remember the contest I publicized to win Heather Bailey fabrics? I won! I ordered a few more fabrics from Chelsea, and have a couple more smaller cuts of fabric on the way from a different shop. These fabrics are quite bright, which I tend not to work with normally, so it will be a fun challenge to combine them in a quilt. I have a pattern in mind, but want to get the pinwheel top done first. wow, that quilt is going to be gorgeous! i love the white and all the colors. that's about as technical as i can get, quilt-wise. 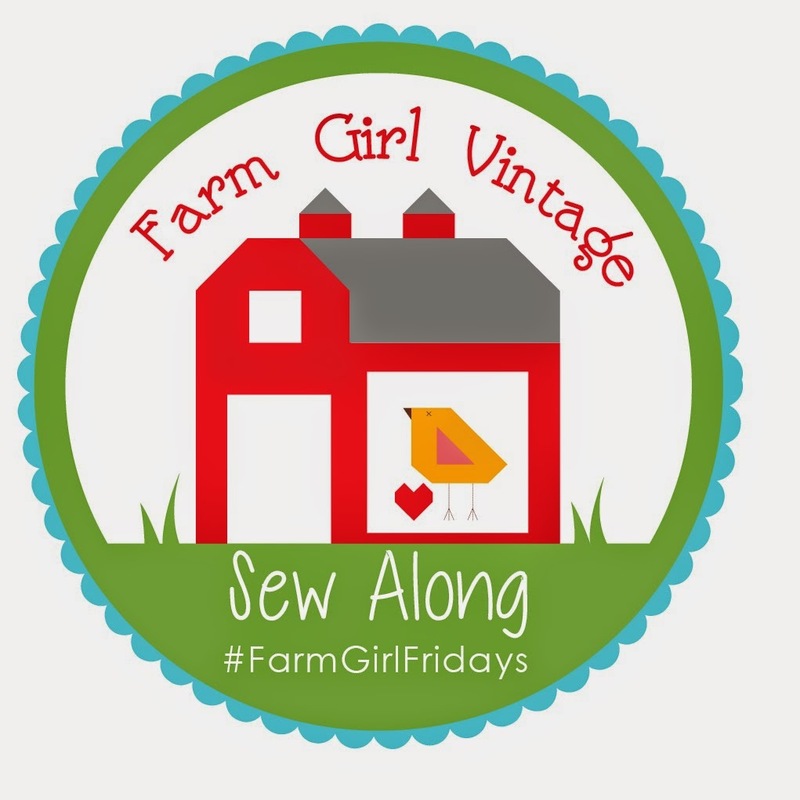 look for a quilty giveaway on my blog this week! and congrats on your fabric win! cool! Well, duh -- why didn't I think of pinwheels -- I love pinwheels! Great choice! Love all of your cupcakes from the last post -- yumyum! I love the pinwheels, and I love the new fabric, too! i love pinwheels. those are look really nice.